Homeowners have their own set of New Year’s resolutions, and they have nothing to do with losing 5 pounds or getting more sleep. New Year’s resolutions for homeowners have to do with making their family’s life more comfortable. Most home improvement projects are for the purpose of either improving the residents’ quality of life or increasing the resale value of the property. A smart New Year resolution should meet both of those goals. You have twelve months ahead to accomplish some home improvements that will bring new life to the house and make it more comfortable for the people living there. Here are four popular projects to get you started—grab your ladders, toolboxes, and good ideas because it’s time to get working. Add Living Space: A lot of new homeowners buy a smaller, more affordable home at first but then grow their family and realize how limited the space actually is. There are plenty of ways to add on more space and make it roomier. First, start by removing all unnecessary clutter in the house to naturally open things up. Second, look to see if there is space for a bedroom addition. If not, you can consider building vertically or even remodel the attic to make it into a bedroom. If you don’t need extra bedrooms, think about extending walls around your living areas or even tear down a few unnecessary walls to open the house up. When it comes time to sell, more bedrooms always add a lot of value and you will hopefully recoup your costs. Energy Saving Projects: Cutting costs could be one of your goals this year, and there are multiple home improvement projects that can help save a buck by reducing the amount of energy you use. First and foremost, check the quality of the windows in the home. Windows are the biggest culprit of letting out the precious heat in the winter and letting in too much heat during the summer. Your air conditioning and heating bills can be cut in half with new windows. Other small tasks include new weatherstripping on the door frames and windows and caulking all the cracks in the in the house, both of which are low-cost, high-impact tasks. If you live in a sunny city and really want to cut your energy bills, start thinking about adding solar panels on your roof or in your yard if you have space. With enough sunshine and space for panels, you can almost eliminate your energy bills and even sell some surplus energy back to the city power grid. 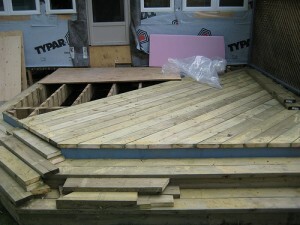 Build a Wood Deck: A fun project that will really pay dividends during summer is to build a large wood deck so your family can enjoy the outdoor space more. It can be something simple with a couple rocking chairs or extravagant with a Jacuzzi and barbeque ready to host summer fiestas. If you live in a place where the weather is always good, a new deck will provide the family with an opportunity to share family dinners outside on your new deck. A deck is not nearly as large an investment as a complete kitchen remodel or room addition but can make just as big of a difference for the people living in the house, as well as guests that are looking for a new place to lounge. Kitchen Remodel: By far the most popular home renovation is to take the outdated kitchen and turn it into a luxury social space that is customized exactly to the liking of the people living there. Kitchen designs today incorporate strategies that greatly increase the open space, storage space, and functionality that the old kitchens can’t come close to. The social setting of a house almost always revolves around the kitchen and with a good remodel you will be happy to have guests hanging out there. A kitchen remodel also provides many opportunities for energy-saving appliances and considerations that might be a large investment upfront, but over time you will likely reap the benefit of smaller energy and water bills, not to mention increased home value. Happy New Year, and happy home improving! 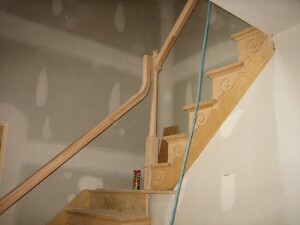 This entry was posted in Tips and tagged energy savings, home improvement resolutions, house remodel. Bookmark the permalink.